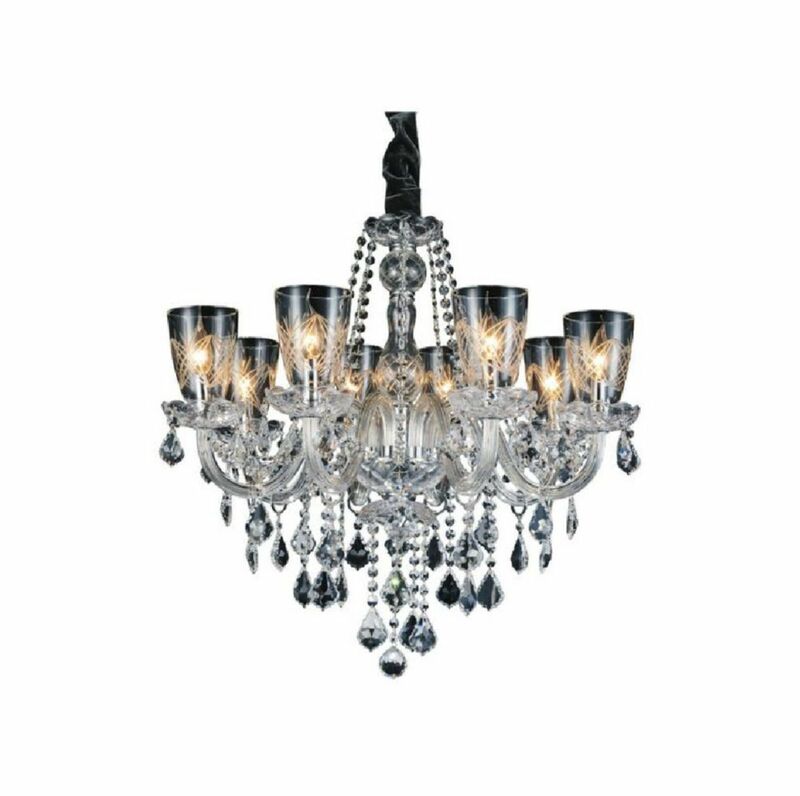 This breathtaking 8 Light Chandelier with Chrome Finish is a beautiful piece from our Ella Collection. With its sophisticated beauty and stunning details, it is sure to add the perfect touch to your dicor. Ella 28 inch 8 Light Chandelier with Chrome Finish This breathtaking 8 Light Chandelier with Chrome Finish is a beautiful piece from our Ella Collection. With its sophisticated beauty and stunning details, it is sure to add the perfect touch to your dicor. Ella 28 inch 8 Light Chandelier with Chrome Finish is rated 1.0 out of 5 by 1. Rated 1 out of 5 by Ken from The light came with broken and missing parts. Very poor... The light came with broken and missing parts. Very poor packing when most of the parts are glass.